Books always make a great gift. Books geared towards photography are abundant so there is something out there for every photographer and photo buff. 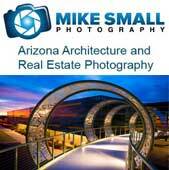 Here are a few suggestions that cover a good range of photography related topics. The Photographer’s Eye: Composition and Design for Better Digital Photos – For the beginning photographer the basics such as aperture, focal length, shutter speed and how to operate their camera a important. But just as important as the technical stuff is knowing how to compose a photograph. Granted, much of that is from the photographer’s artistic style but understanding the basic “rules of photography” before applying your own style and breaking all the rules can go a long way to improve your photography. Michael Freeman’s book has been called …”the best photo design/composition book available.” Any beginning photographer should have it in their library and you could be the one to give it to them. Understanding Exposure, 3rd Edition: How to Shoot Great Photographs with Any Camera – If a photographer doesn’t understand exposure they are going to have a hard time capturing those winning shots (or spend a lot of time in post processing trying to correct things). This book by Bryan Peterson is packed with everything you need to know to get up to speed on exposure. Another invaluable one for a beginning photographer to have on their book shelf. If you want to give the beginning photographer on your list a really top notch library here are a few more Michael Freeman books that you can’t go wrong with. Doug Box’s Guide to Posing for Portrait Photographers – There are many elements that go into getting a great portrait, but two of the more difficult ones to master are lighting and posing. I’ll get to lighting next, but directing your subject/model to pose can be hard and a bit intimidating if you’re uncertain as to what exactly you are doing. A posing guide like this can help spark ideas and get the beginning portrait photographer comfortable enough with posing to help keep their model comfortable and get some great poses. For only $26 this is a good investment for any portrait photographer. Master Lighting Guide for Portrait Photographers – Lighting can be very complicated. There are so many variables that it is nearly impossible for any one book to cover every situation. But this lighting guide does a good job of covering the basics and offering a base upon which a photographer can build as they advance their skills. You need to know the basics first. Creative Landscapes: Digital Photography Tips and Techniques – This book by Harold Davis tries to take the complexity of landscape photography and break it down into technical and creative aspects. Advice and tips are given to master both aspects of landscape photography. Master landscape photographers like Ansel Adams are one in a million. 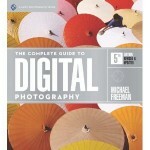 But if there is a photographer on your list aspiring to be one of them a book such as this can help. Photographing Flowers: Exploring Macro Worlds with Harold Davis – Outdoor photography is not limited to vast landscapes. On the other side of the extreme is the macro world. Although not limited to the outdoors, flowers can fall into that category. This book takes you from generating ideas and concepts of what to shoot through the technical steps of the shoot. It gives tips on how to get various effects and has abundant examples of the authors own flower photography. Not sure what type of photography your recipient is most interested in or are they just starting out in photography? No problem, there are more general photography books out there than anyone could read in a lifetime. Here are a few of the better ones that would make great gifts. Bryan Peterson’s Understanding Photography Field Guide: How to Shoot Great Photographs with Any Camera – This book packs a lot between two covers, but in 11 chapters Bryan Peterson manages to effectively touch on most everything necessary to get any photographer started. He starts with the basics, moves into exposure, aperture and shutter speed, touches on “seeing” and composing an image and finishes off with a chapter on gear. The Digital Photography Book – Scott Kelby’s three volume series on digital photography is not a book of theory or overly technical jargon. …this is a book of which button to push, which setting to use, when to use them, and nearly two hundred of the most closely guarded photographic “tricks of the trade” to get you shooting dramatically better-looking, sharper, more colorful, more professional-looking photos with your digital camera every time you press the shutter button. It gives it to you straight forward without the fluff. Just what any photographer needs, amateur or more advanced. Beef up this gift and give all three volumes. The Digital Photography Book, Volume 2 and The Digital Photography Book, Volume 3 .